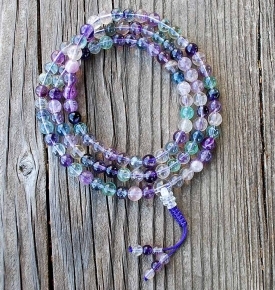 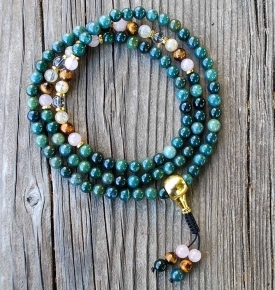 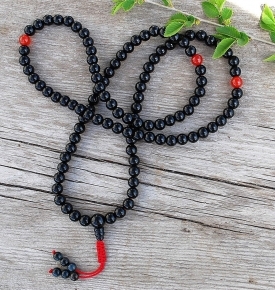 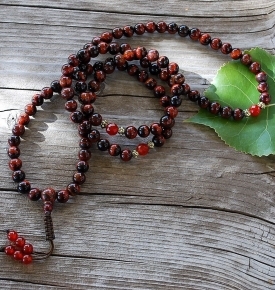 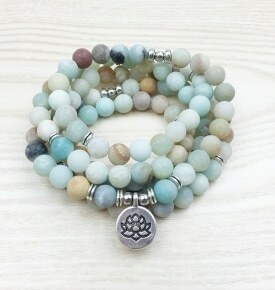 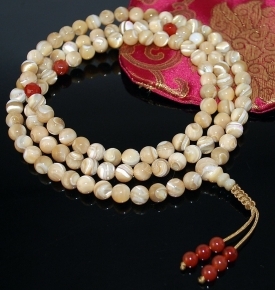 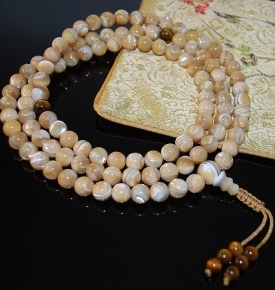 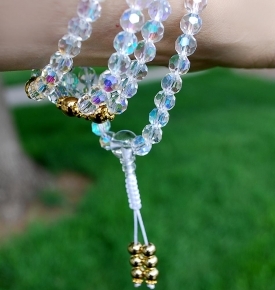 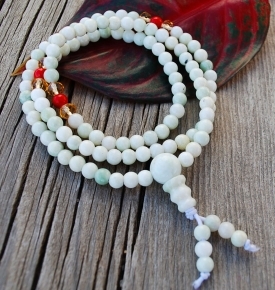 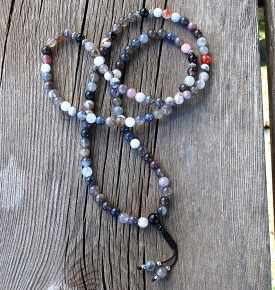 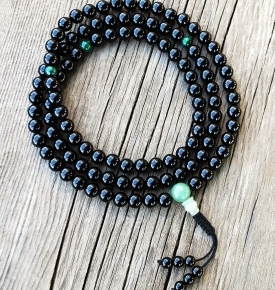 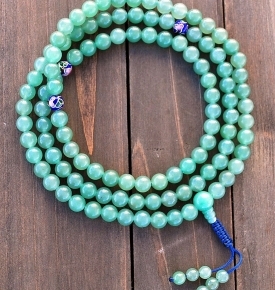 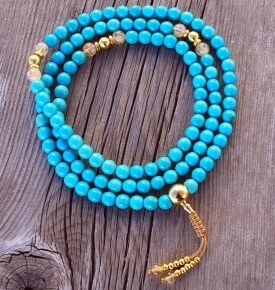 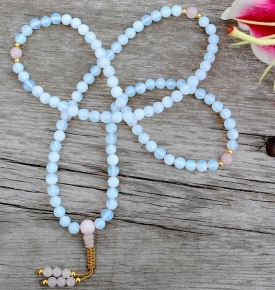 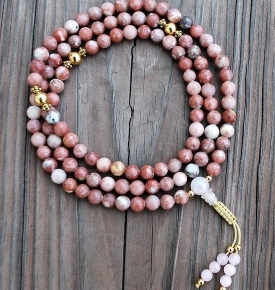 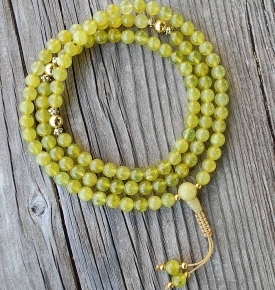 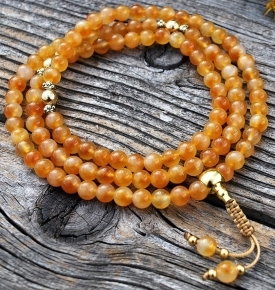 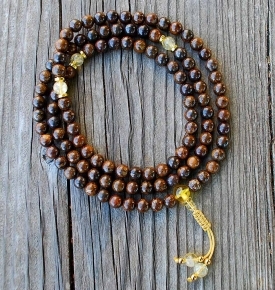 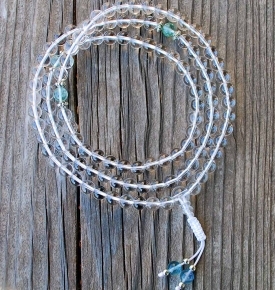 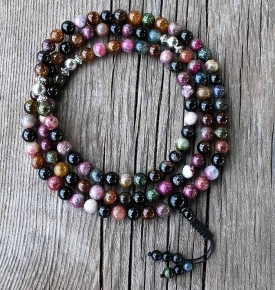 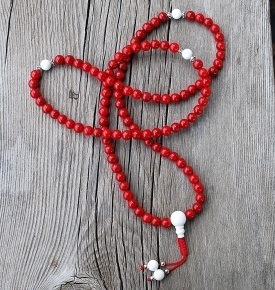 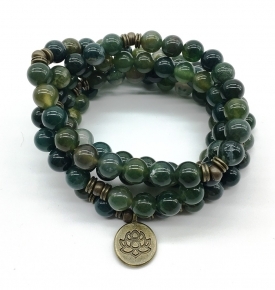 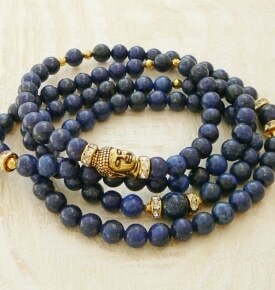 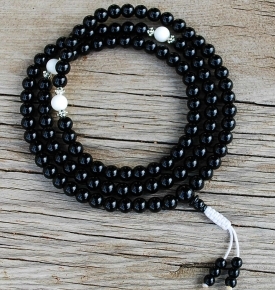 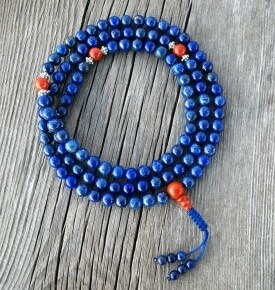 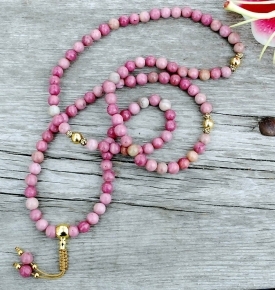 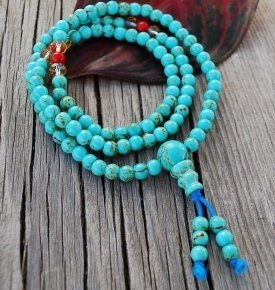 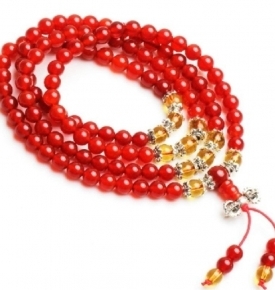 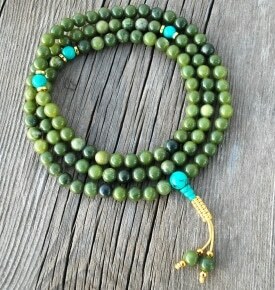 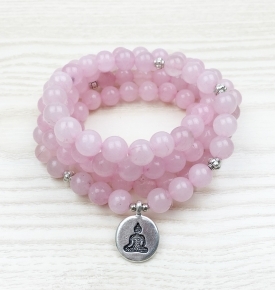 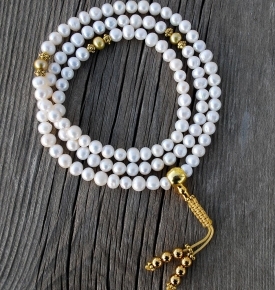 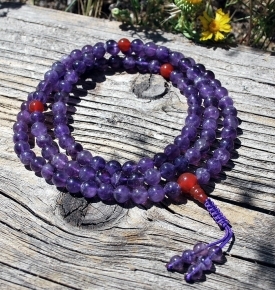 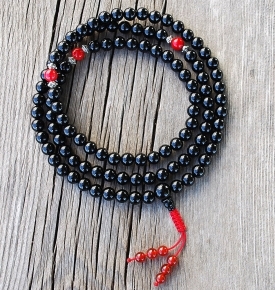 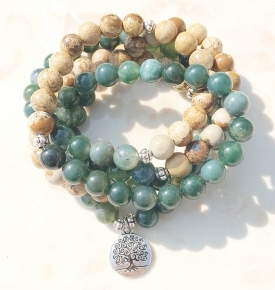 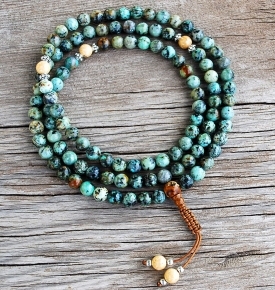 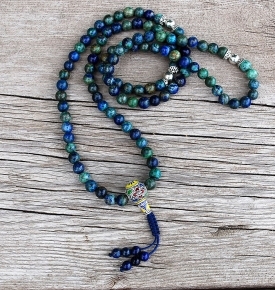 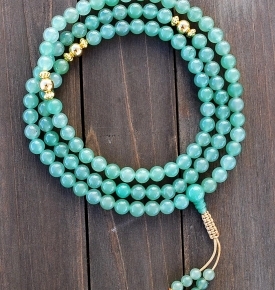 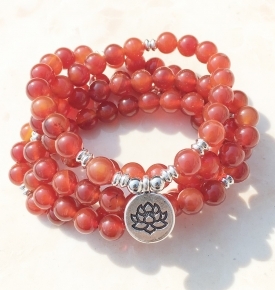 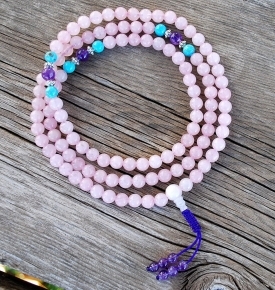 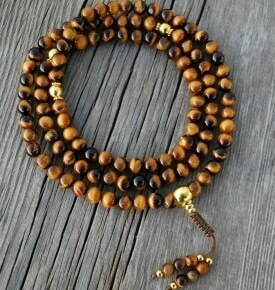 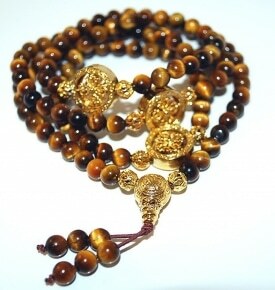 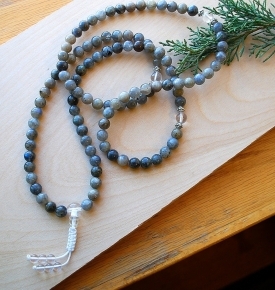 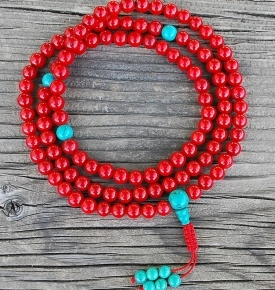 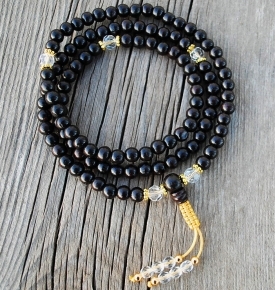 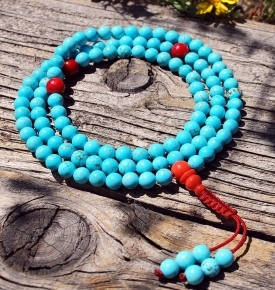 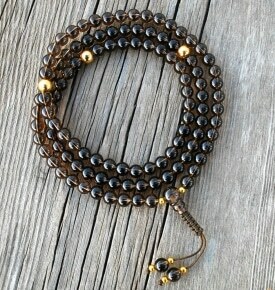 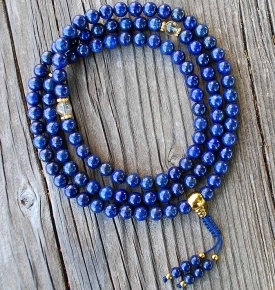 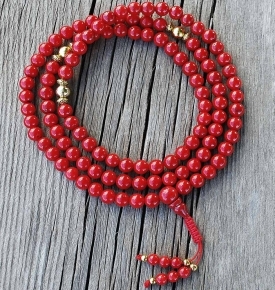 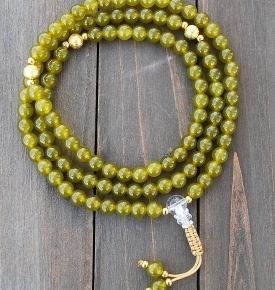 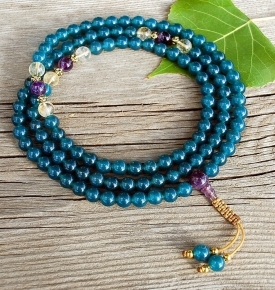 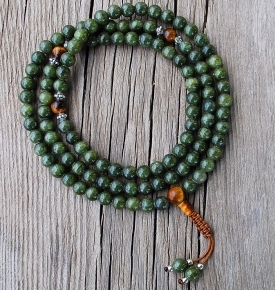 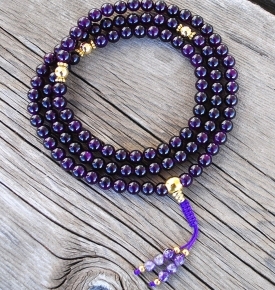 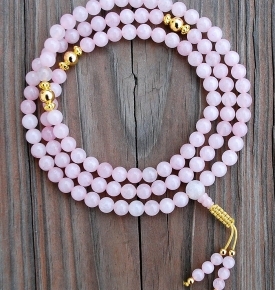 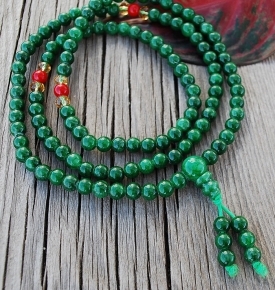 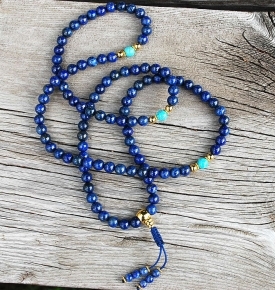 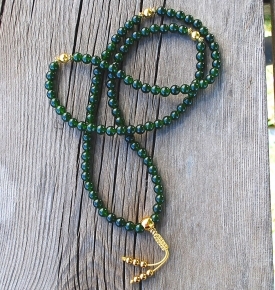 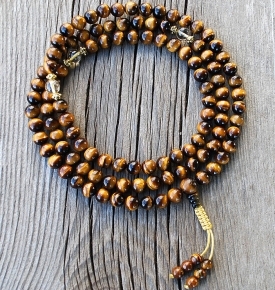 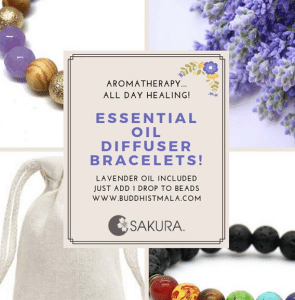 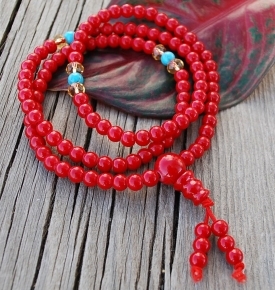 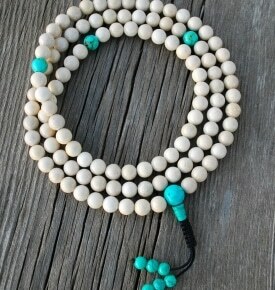 We primarily offer 108 bead malas at Sakura Designs. 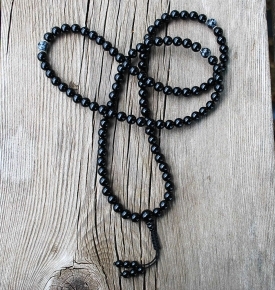 The numbers 3 and 9 are both considered holy numbers, and 108 is divisible by both 3 and 9. 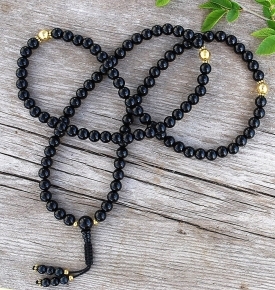 When we consider the individual components that comprise the amount 108 and add them together, 1 8=9, there is 9 again. 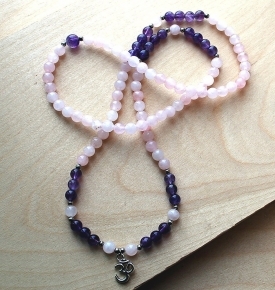 27 is divisible by 3 and 9. 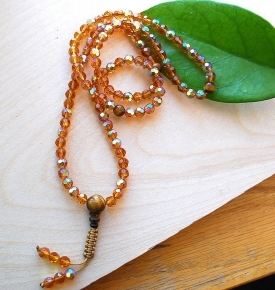 This is the interval involving the marker beads 2 7=9. 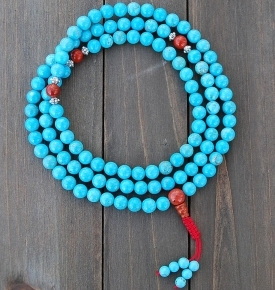 There exists 9 again and 27 is divisible by 3 and 9. 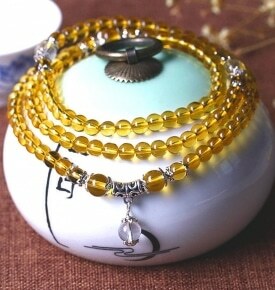 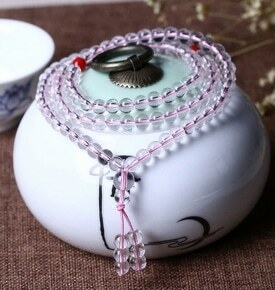 You will find 3 marker beads which marks 4 teams of 27 beads. 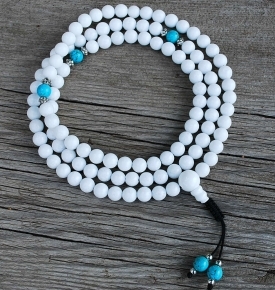 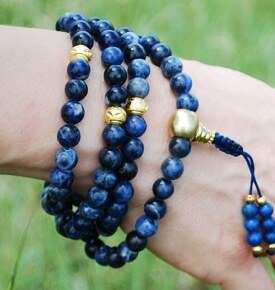 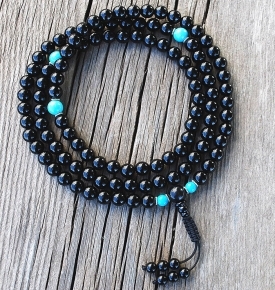 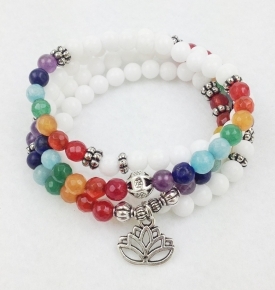 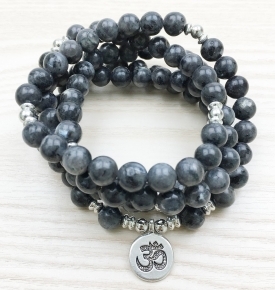 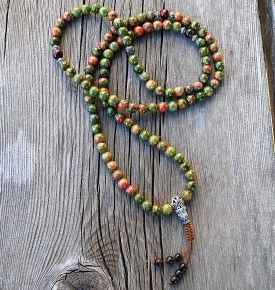 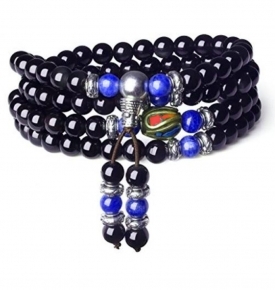 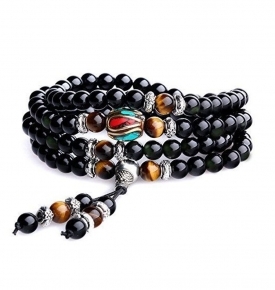 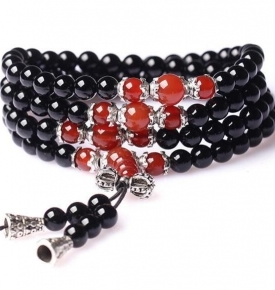 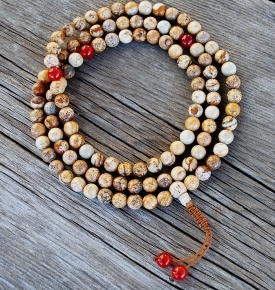 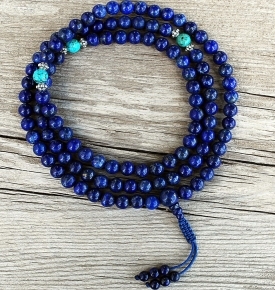 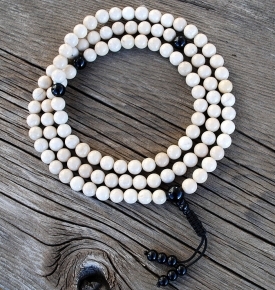 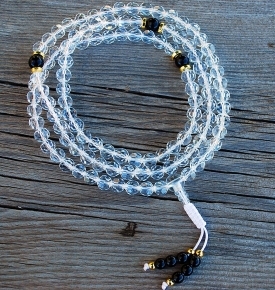 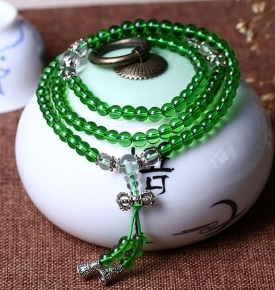 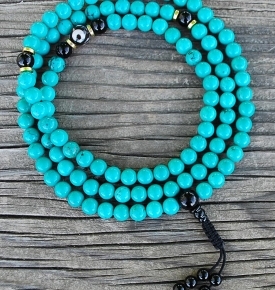 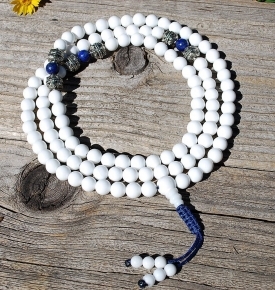 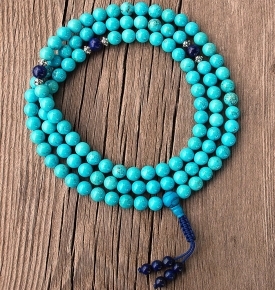 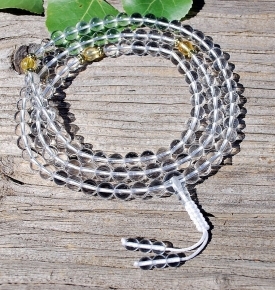 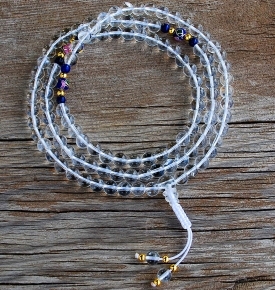 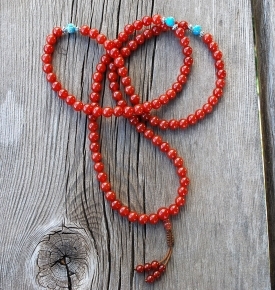 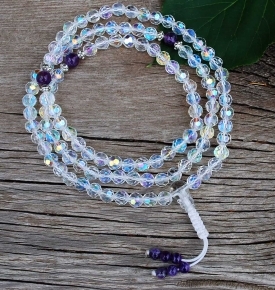 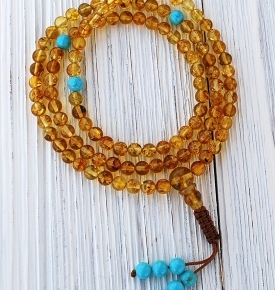 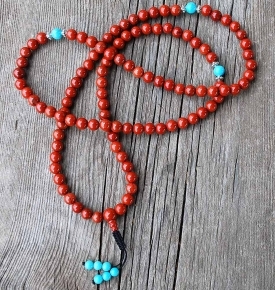 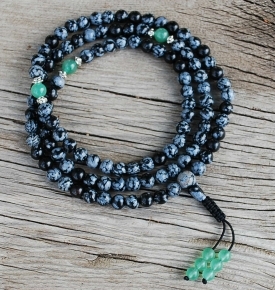 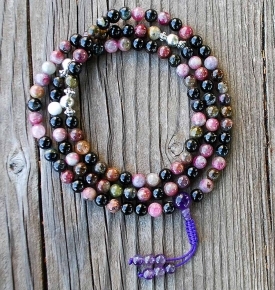 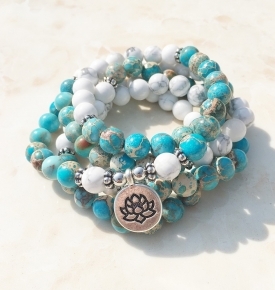 An 18 bead wrist mala, 1 8=9 and 18 is divisible by 3 and 9. 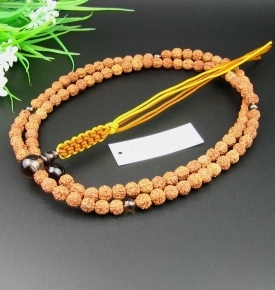 In Hinduism, the amount 108 is a holy number and several devotional practices should be repeated 108 times. 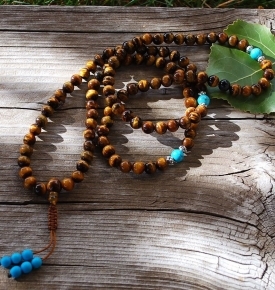 Both Buddhism and Hinduism took this numerology from earlier Indian religion.